GFB WRX / Sti Adjustable Short Shifter – THE shortest throw shifter on the market for your Subaru! 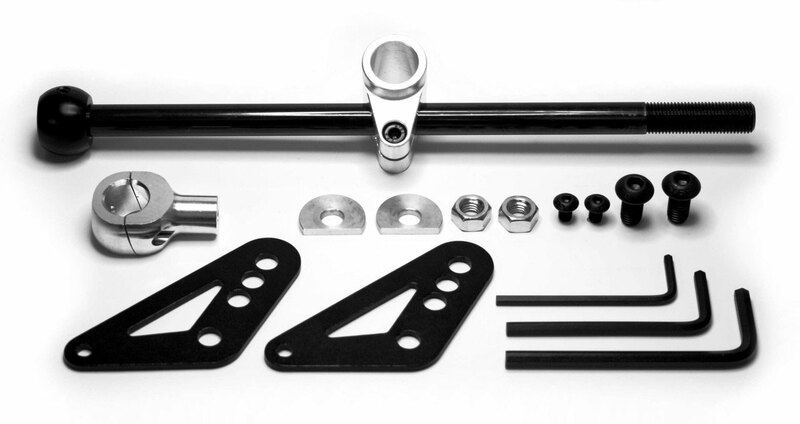 Both 5spd & 6spd Adjustable Short Shifter Kits available. Less time changing gears means more time on the throttle! Working on a different principle to other products on the market, the GFB Short Shifter can be adjusted to reduce the throw by up to 40% over standard (more for early models), significantly shorter than even an STi! Like all GFB components, the Short Shifter is well engineered and manufactured from the highest grade materials. Don’t be fooled by similar (or even greater) claims of such dramatic throw reduction, GFB’s Short Shifter Is the shortest kit you can bolt to your car! That’s a big call, so what makes the GFB unit different from others? By raising the pivot point to the gearbox shift linkage, the throw is proportionally reduced, that’s the easy part. BUT, on the WRX, the gearbox shift linkage can only be lifted about 10mm before it hits the surrounding bodywork. This is where all other brands on the market stop, which equates to a throw reduction of about 10-15%. GFB on the other hand, supply a unique bracket that clamps to the gearbox shift linkage and allows the pivot point to be raised up to 40mm above standard! On the shortest setting, the throw is a tiny 30mm per gate! In fact, the LONGEST setting on our shifter is STILL SHORTER than everyone else. 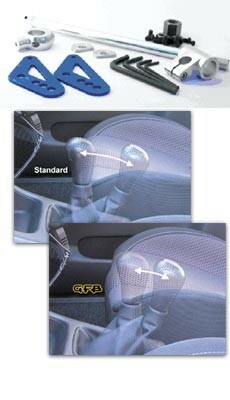 Note that the gear stick height remains the same as the factory unit - only the throw from gate-to-gate is reduced.